"Ishqedarriyaan" is a 2015 hindi film which has Evelyn Sharma, Mahaakshay Chakraborty, Mohit Dutta, Kavin Dave and Suhasini Mulay in lead roles. 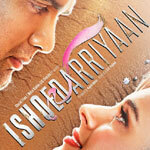 We have one song lyrics and one video song of Ishqedarriyaan. Jaidev Kumar has composed its music. Arijit Singh has sung these songs while Kumaar has penned its lyrics.